Dr. Robert T. (Tommy) Mitchell, M.D. a native of Tennessee, has been speaker and researcher at Answers in Genesis since November of 2005. Dr. Mitchell became a Christian at age seventeen, and soon went on to college where many professors and evolutionary ideas influenced him. Dr. Mitchell became a theistic evolutionist and tried to combine secular views with his new Christian faith. In 1980, he graduated with a BA in Cell Biology and a minor in Biochemistry from the University of Tennessee. After completing his superior scholarship he was elected to the Phi Beta Kappa Society, which is one of the most well known and respected honor societies. 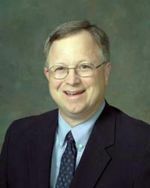 Dr. Mitchell accepted a MD degree in 1984, from Vanderbilt University School of Medicine in Nashville, Tennessee. Peripheral T-Cell Lymphoma: A Clinicopathologic Study of 42 Cases by Greer J.P., York J.C., Cousar J.B., Mitchell R.T., Flexner J.M., Collins R.D., Stein R.S. Journal of Clinical Oncology, Vol. 2, pp. 788-797. 1984. Falsely Elevated Serum Creatinine Levels Secondary to the Presence of 5-Fluorocytosine by Mitchell R.T., Marshall L.H., Lefkowitz L.B., Stratton C.W. Am J Clinical Pathology, Vol. 84, pp. 251-253. 1985. This page was last modified on 19 June 2010, at 09:58.